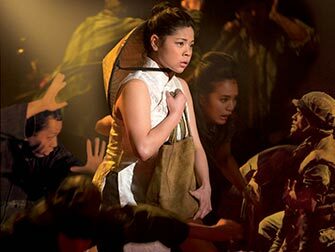 Save on your Miss Saigon on Broadway tickets by buying before you travel to New York. Purchasing your theatre tickets online is easy, safe and, above all, will save you time and money. 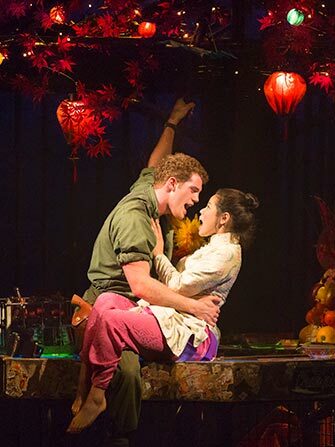 The world famous love story, Miss Saigon, is back on Broadway! Who hasn’t heard about the famous scene of soldier Chris singing to Vietnamese Kim with the background roar of helicopters flying overhead? 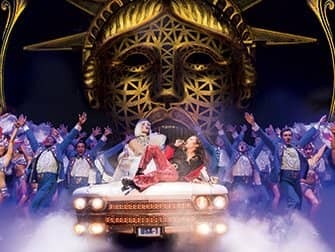 Now is your chance to experience this exciting and spectacular musical in New York. Don’t miss this classic showing at the Broadway Theatre. It is 1975, and the last days of the Vietnam war are upon us. The orphaned 17 year old girl, Kim is lured by a French-Vietnamese nightclub owner “The Engineer” to work for him in his club, Dreamland, in Saigon. The same club in which the American Marines are celebrating, with the many club girls, the impending end to the war. Military man, John decides to buy the services of one of the girls for his friend Chris. Various club girls try to capture his attention but the calm and shy Kim catches his eye. It is Kim’s first night working in at Dreamland, she is young and inexperienced. Chris and Kim spend this one night together. One night that will change their lives forever. 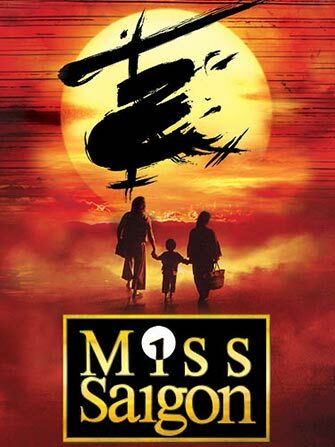 Eric’s Tip: Miss Saigon is a typical Broadway musical with great singing, dancing and acting. The story is intensely sad but comedic at the same time which is a perfect balance. I won’t spoil too much … but yes that part is EPIC. I wouldn’t advise to bring along children under 12.